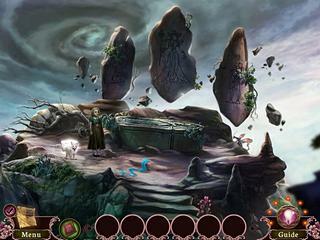 Otherworld: Shades of Fall Collector's Edition is the third release of the series. Whether you played the previous ones or not, it doesn't really mater because you get a short intriduction to who is who and what's has been going on. The game play is full of something for everyone. 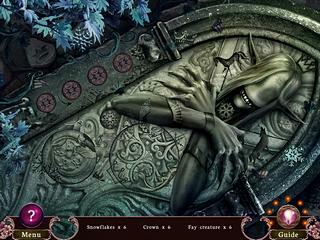 There are different kinds of hidden object scenes with a bit of ineraction. Those who did play the previous games will be surprised with this one since the series seems to only get better with time. You are to join Fiona and the Storm Cat on the journey to the otherworld where the Shade is threatening everyone with eternal winter. Both audio and visual effects are excellent! Some of the characters are animated. The voice overs are done very well. The scenes go beyond our reality with a lot of colors mixed together. The puzzles are not very challenging but they are very interesting and fresh. They fit into the story really well as you proceed and meet all kinds of characters. The map is quite helpful in taking you through the game. There are little dragon scattered across the game and some other extras. Otherworld: Shades of Fall Collector's Edition is a great game to take a breat from your daily routines and wonder somewhere else. This is Otherworld: Shades of Fall review. Download this game here.